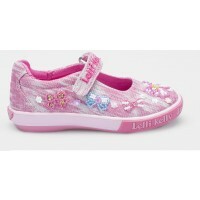 Browse our range of fabulous Lelli Kelly childrens shoes - the perfect choice for little girls! 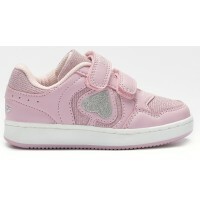 Founded in Italy, Lelli Kelly childrens shoes have taken the market by storm and are the must have shoe for young girls. Available in canvas or leather, many of our Lelli Kelly children's shoes are even machine washable - meaning they're incredibly easy to keep looking fabulous! The fun and stylish Lelli Kelly children's shoes incorporate wonderful beaded designs to really give the shoes that wow factor and are the ideal shoe for little girls. Perfect for parties, special occasions, or just for casual day wear, we have a great range of beautiful Lelli Kelly children's shoes - designed to delight! The large variety of colours on the beads of the Lelli Kelly children's shoes mean that the shoes really stand out and sparkle, creating a great impression. Lelli Kelly childrens shoes are also renowned for being extremely comfortable and hard wearing, many of the styles are also machine washable, ensuring your Lelli Kelly childrens shoes are durable enough to last the distance - without compromising on style. 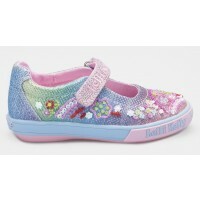 Lelli Kelly also produce excellent hard wearing Lelli Kelly school shoes. Different width fittings are available in differing styles of Lelli Kelly school shoes and Lelli Kelly also produce the multi strap option where you have a choice of any one of three straps on selected Lelli Kelly school shoes styles. Lelli Kelly school shoes are available in sparkly black patent or black leather. All Lelli Kelly shoes and Lelli Kelly boots come with a complimentary Lelli Kelly free gift. 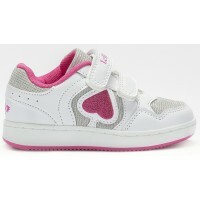 Check out our range of Lelli Kelly Childrens shoes above!